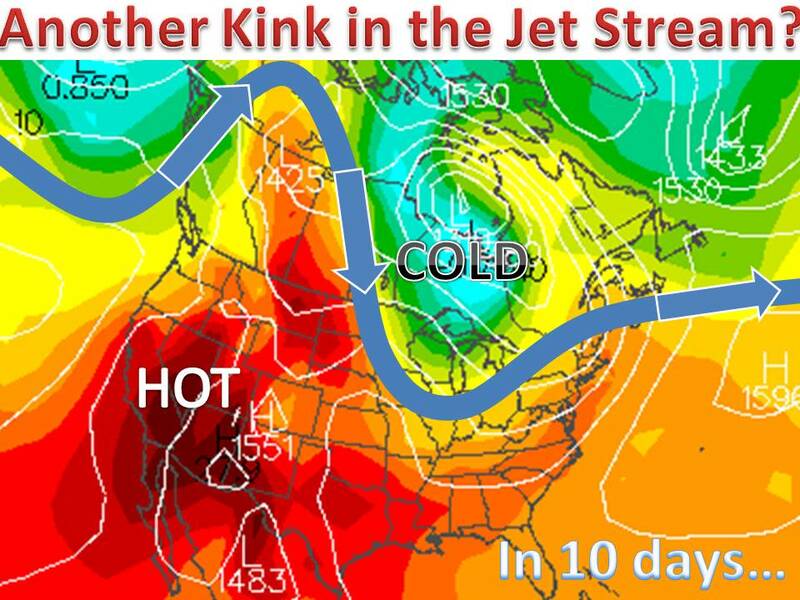 No long August heat wave in sight, instead we now watch for Canadian air masses to rotate into the Midwest. We may see a repeat of what occurred over the weekend, as the jet stream is forecasted to "kink" allowing cool Canadian air to surge south into the U.S. The european model and american model are now both showing this feature. More records would fall if this hold true, we will have to wait and see..